I came across ParrotRead the other day -- I don't quite remember how -- but it has turned out to be a very useful, free, service. 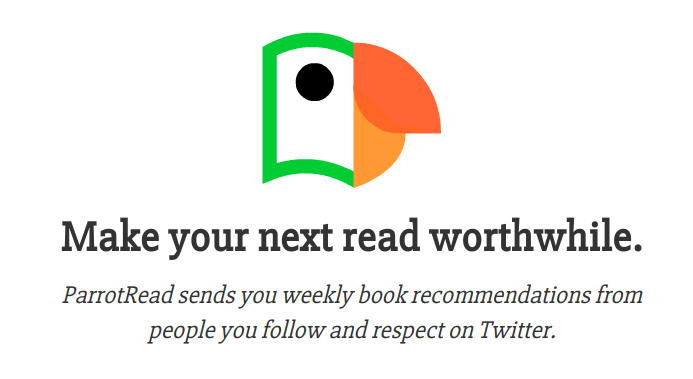 ParrotRead scans your Twitter Timeline and automatically finds and reports on books that appear there with a weekly email. I wasn't sure how useful this might be, but over the last several days I have found several books that interested me enough to request them from my local library. It's always nice to see a site that does something simple and well. I look forward to future recommendations from the site.